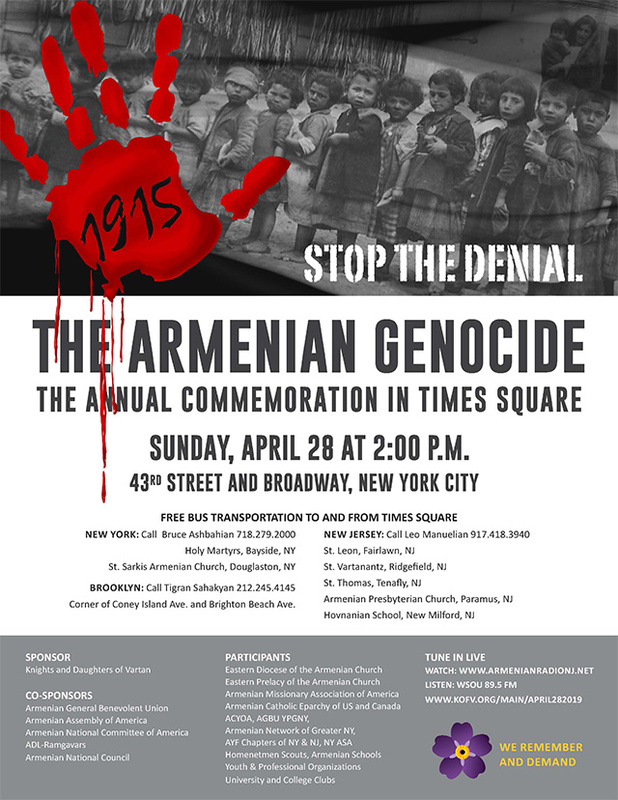 The annual Times Square commemoration of the Armenian Genocide will be held on Sunday, Apr. 28, at 2 p.m., at 43rd St. & Broadway, New York City. Sponsored by the Knights of Vartan and a host of Armenian organizations. Click here to view a flyer with details, including contacts and transportation to and from the event.